Hannah Arendt and the Challenge of Modernity explores the theme of human rights in the work of Hannah Arendt. Parekh argues that Arendt's contribution to this debate has been largely ignored because she does not speak in the same terms as contemporary theoreticians of human rights. 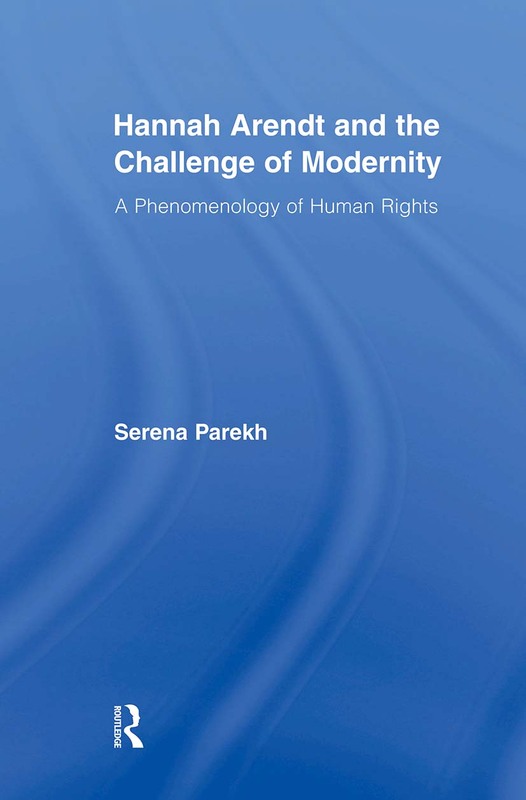 Beginning by examining Arendt’s critique of human rights, and the concept of "a right to have rights" with which she contrasts the traditional understanding of human rights, Parekh goes on to analyze some of the tensions and paradoxes within the modern conception of human rights that Arendt brings to light, arguing that Arendt’s perspective must be understood as phenomenological and grounded in a notion of intersubjectivity that she develops in her readings of Kant and Socrates.